ARE YOU LEGALLY ALLOWED TO VISIT THIS WEBSITE? Please adhere to our admittance policy. We're sorry but residents of Arkansas, Indiana, Pennsylvania and Utah are prohibited from access. Residents of all other states must be 18 years of age or older, or 21 years of age in California, Hawaii and New Jersey, and 19 years of age in Alabama in Alaska, to access this stie and/or purchase our products. Thank you. The Boost eRig is the new next generation electronic dab rig from one of the most trusted names in the industry - Dr. Dabber. Say goodbye to clunky, cumbersome e-nails that cost an arm and a leg. The Boost is the first portable eRig that's compact enough to keep up with your busy grab-and-go lifestyle. With the Boost, there's no coils or wicks to worry about. Simply load-up your favorite wax concentrates and dab anywhere and everywhere! Always on the forefront of wax vaporization technology, it comes as no surprise that Dr. Dabber is leading the new eRig revolution. If you are local in NC, stop by our Charlotte store at Vapor Smoke Shop. Vapor Smoke Shop was established because we want to go beyond just selling tobacco products to our customers. 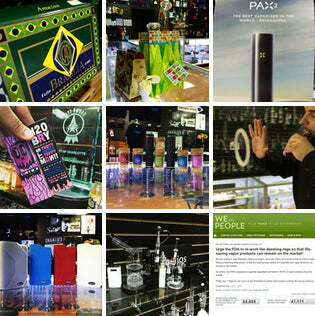 We offer various products for everyone in the smoking industry. We are not just a specialty store. Vapor Smoke Shop carries Vape Pens, Electronic Cigarettes, E-Liquid, Grinders, Scales, Detox, High End Glass Pipes, Oil Rigs, Vaporizers, Incense, and Tobacco products. We work with our customers one on one to provide them with 100% satisfaction guaranteed. We have a humidor to keep all your favorite Cigars fresh, as well as, an entire wall dedicated to the largest selection of e-juices in the Carolinas. Our approach as a smoke shop is to make people feel more comfortable shopping for ALL of their smoking needs and accessories. We believe in getting to know our customers and finding out what they want, rather than just answering questions about a particular item in the store. Our motto is that happy customers become long term clients who may occasionally tell others about us! That is how we have grown to become one of the most respected vape and tobacco shops in Charlotte, North Carolina. Come check us out in the Queen City! We are open 7 days a week for your convenience. Looking for a smoke and vape shop you can trust? We serve customers from Uptown Charlotte, South Blvd, Pineville, Ballantyne, Matthews. Weddington, Waxhaw, Monroe, Mint Hill and surrounding communities at our store or Independence Blvd. Get our shop discounts and new products announcements before anyone else. Copyrights © 2019 Vapor Smoke Shop.